The Siamese Water Race is so named as it used to carry water from the South George River near St Colums Falls on the East Coast of Tasmania some 42 kilometres to the Argonaut Tin Mine in the St Helens District of Tasmania. This track is considered to be of medium difficulty, it can be much harder following heavy rain. The track is overgrown in parts, so please take care. To access, from St Helens turn off the highway when heading south app. 3km from St Helens. 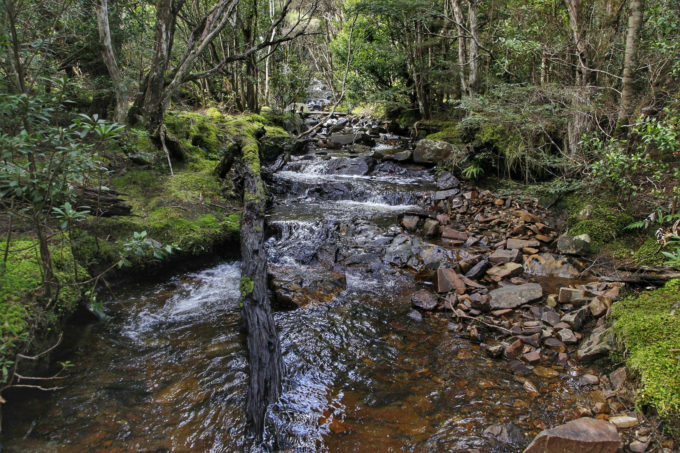 The Siamese Water Race 4WD track is poorly marked, and located app 11 kilometres from the small East of Tasmania town of St Helens. This track is overgrown, and difficult to find in parts – there is a risk that the bodywork of your vehicle may be damaged by branches and scrub. When planning to complete the Siamese Water Race 4WD track, we recommend you are accompanied by another vehicle and carry recovery gear.